While the Alien is currently undergoing a mini-renaissance with Alien: Covenant, its sometime nemesis the Predator isn’t resting on his insectoid laurels, either. Writer extraordinaire Shane Black (who was disembowelled in the original) is looking to bring the iconic alien hunter back to his prime in The Predator, which has already been filming for a couple of weeks. The production has been notorious for constantly announcing new cast members, recently revealing that everyone from Jake Busey to Alfie Allen to Thomas Jane is set to appear. 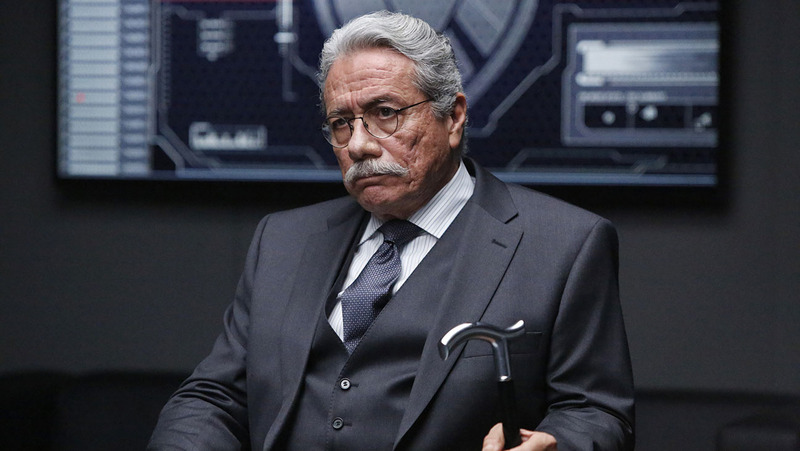 Now, maybe, we have the final member of the roster: Edward James Olmos. Science fiction fans will see his casting as a good omen, the actor known for not only his sterling work in Battlestar Galactica, but his iconic performance as Gaff in Blade Runner, which he’ll reprise in Blade Runner 2049 later this summer. THR revealed the casting, but details on who Olmos will be playing are limited to that he’ll be involved with the military and given the nature of Predator films, that doesn’t really narrow it down. Hopes are high for this reboot. Shane Black is a seriously gifted writer and director with a distinct spark that he can bring to even the most cookie-cutter of franchises, and he’s assembled an impressive cast here, most of whose heads I expect to see be dangling from the creature’s belt by the movie’s climax. The franchise is definitely due a great outing, with only the original Predator being unambiguously good (though I have a soft spot for Predator 2‘s insanely 1990s voodoo gangsters), so let’s hope this project can deliver. Reports are that this time, the beast will be attacking the suburbs, so with filming now underway, we should hopefully see some on-set pictures soon that’ll give us a clearer idea of what Black’s going for in The Predator.